A Bill that would enable a pilot industrial hemp program to commence in the U.S. state of Oklahoma cleared the House last week with a unanimous vote of 92:0. House Bill 2913 seeks to establish the Oklahoma Industrial Hemp Agricultural Pilot Program. Any hemp grown will need to be from seed certified by the Oklahoma Department of Agriculture, Food, and Forestry as having no more 0.3% delta-9 tetrahydrocannabinol (THC) concentration on a dry-weight basis. Plants resulting from that seed will be limited to the same THC concentration. While the program would only permit university or an institute of higher education located in the state to hold a license to grow industrial hemp (in line with the federal 2014 Farm Bill), those parties would be able to subcontract others to carry out cultivation, assuming they operated within the boundaries of regulations. Licensees will be able to engage in growing the crop for research, development and marketing development purposes. The Bill had strong support from the other side of the political fence. “When lawmakers on both sides of the aisle brainstorm creative ways of increasing revenue and expanding our economic resources, Oklahomans reap the rewards,” said Majority Floor Leader Jon Echol; another sponsor of the Bill. House Bill 2913 has since moved on to the Senate, where it had its first reading on March 6. Before prohibition really kicked in, industrial hemp was grown in Oklahoma; however, it was more of a niche crop rather than the massive acreage planted in other states. Perhaps that will change the second time around. While legal industrial hemp has long since disappeared from Oklahoma’s rural areas, feral “ditch weed” is still a common sight in the state. NewsOK reports the U.S. Drug Enforcement Administration eradicated 5.8 million ditchweed plants in Oklahoma in 2001. 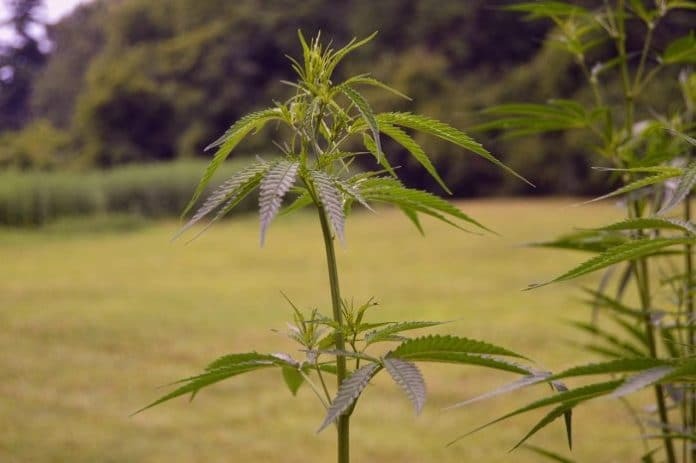 The number of U.S. states still not permitting or moving forward with enabling industrial hemp cultivation are now very much in the minority. At least 34 states have passed legislation related to industrial hemp.